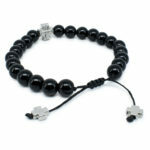 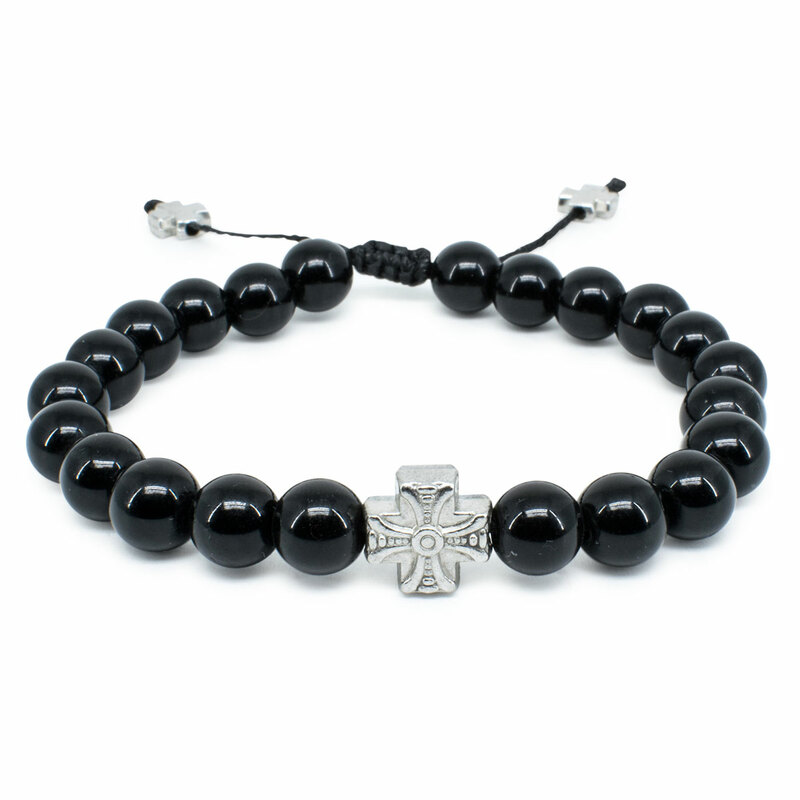 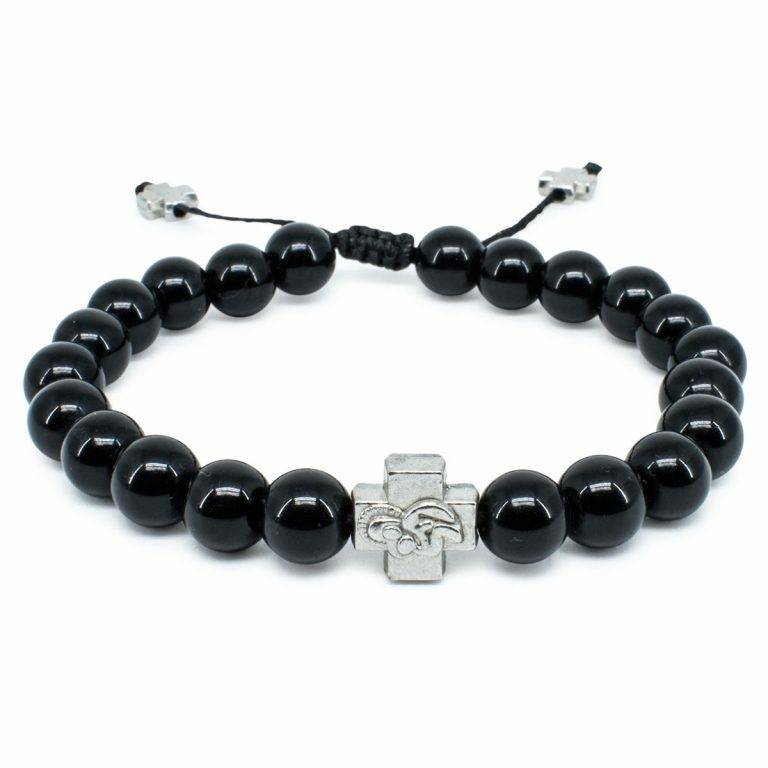 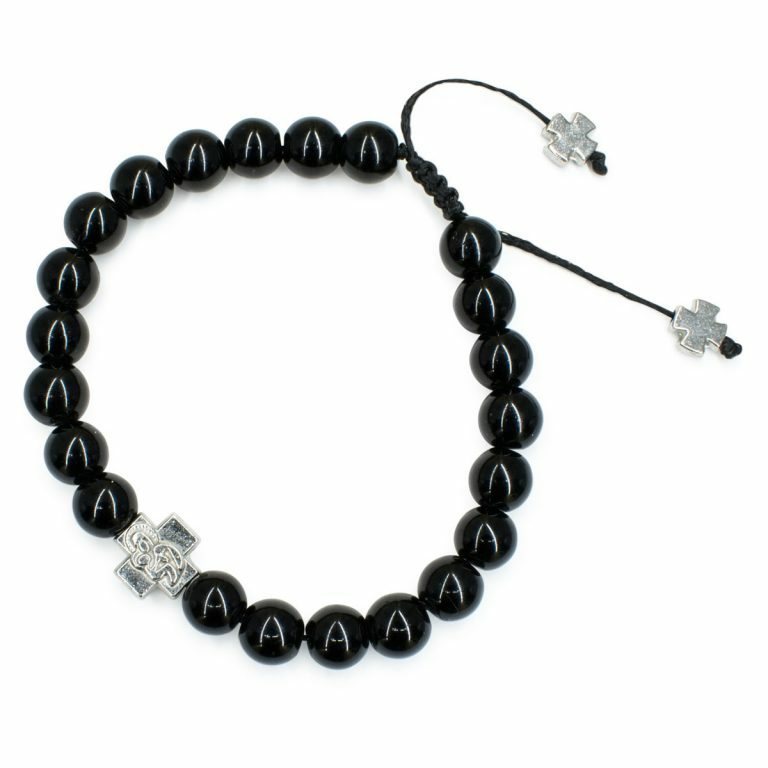 Amazing onyx stone orthodox bracelet that consists of 20 real onyx stone beads and one metal cross bead. The metal cross bead has 2-sides, one side with a depiction of the Holy Mary and on the other a art-deco cross. 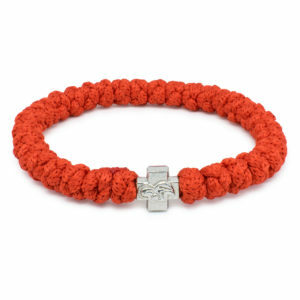 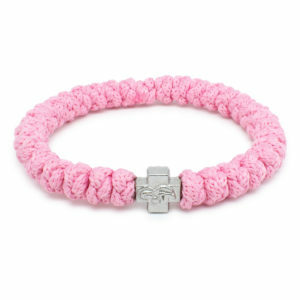 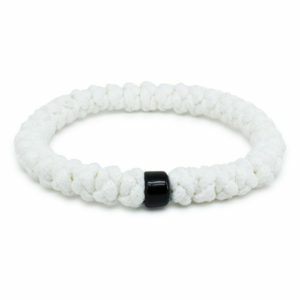 This bracelets size is adjustable, by pulling the cords the bracelet fit tighter around de wrist. 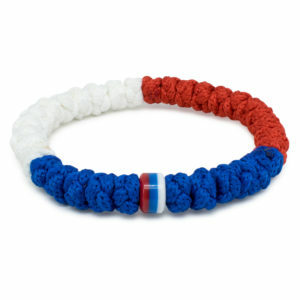 This is made possible by the sliding knot.